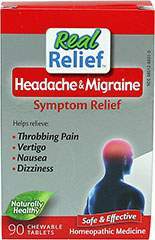 Migraine Pain Management is a breakthrough migraine remedy - it is the first and only over-the-counter registered migraine medication which is certified organic. Its effectiveness is supported through science, its purity and tolerability to the system is established from its organic certification. This product works and is backed by our one-year money back guarantee. 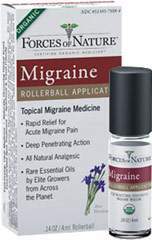 Migraine Pain Management is 100% pure and all natural. So much so that has been issued the coveted organic certification by the USDA. This verifies that all ingredients and medicines in the product are pesticide free and certified organic. This is a proprietary formula developed by Forces of Nature's Naturopathic Doctor and company Biologist specializing in plant medicine. This remedy is very powerful and has relieved acute migraines with great success.